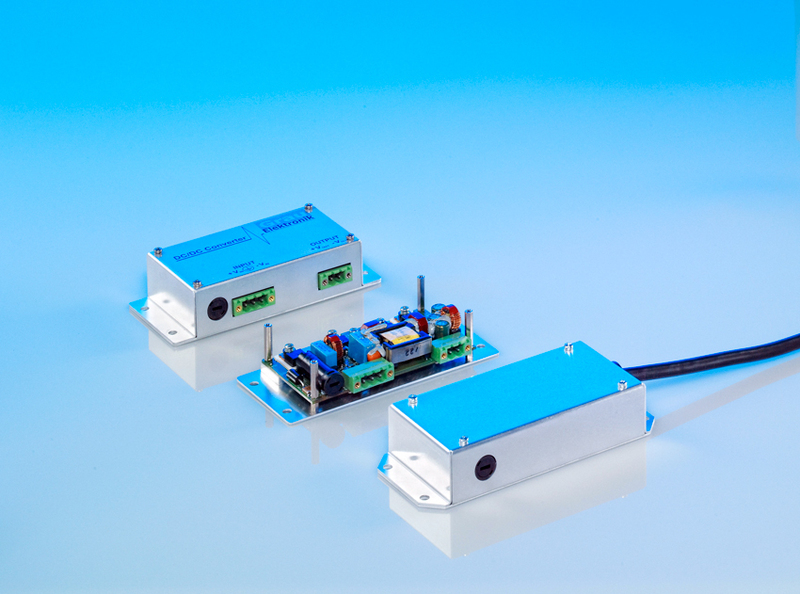 Small & compact DC/DC converter output current and voltage PWM regulated for PCB- and Wall mounting (IP 00 … IP 30). Input against output galvanic isolated. No load and short circuit proofed complete operating temperature range – 40°C to + 85°C class Tx EN 50155. Ideal supply for small rail aplication control systems. 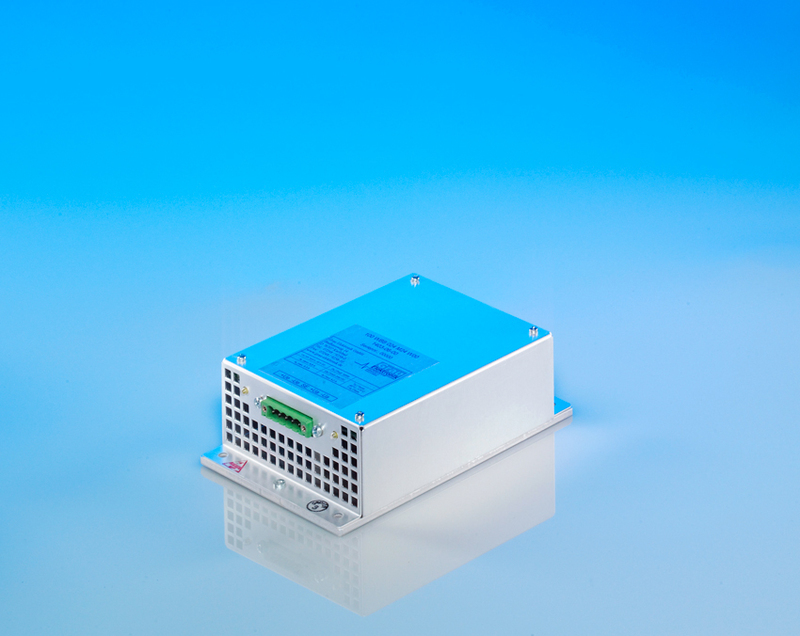 DC/DC converter 50W to 100W output power with single regulated output voltage. Input and output with galvanic isolation barrier. Noload- and short circuit proof for complete operating temperature range TA = – 40°C to + 70°C class T3 EN 50155. Suitable for railway applications. 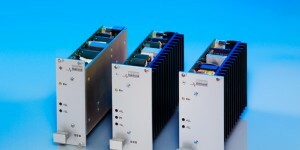 Ideal power supply for 24V intermediate voltage stage supplying POLs and control units. Converters designed for wall mounting. IP 20 design with PHOENIX connector. DC/DC converters either with 1 or 2 independent output voltage(s). Galvanic isolation between input and output (2‘100VDC, 2mm creepage). No load and short circuit proofed for complete operating temperature range TA: – 40°C to + 85°C class Tx EN 50155. 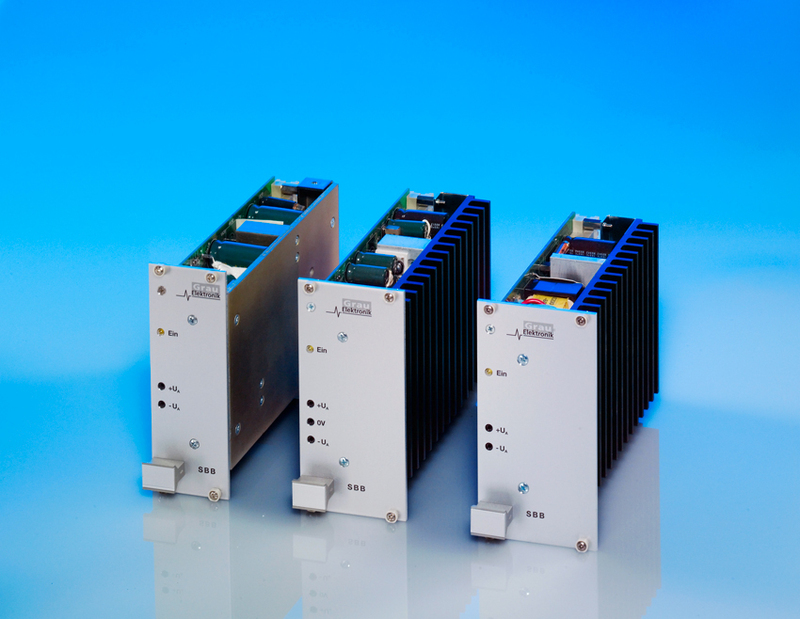 Ideal reliable voltage power supply for railway control systems. 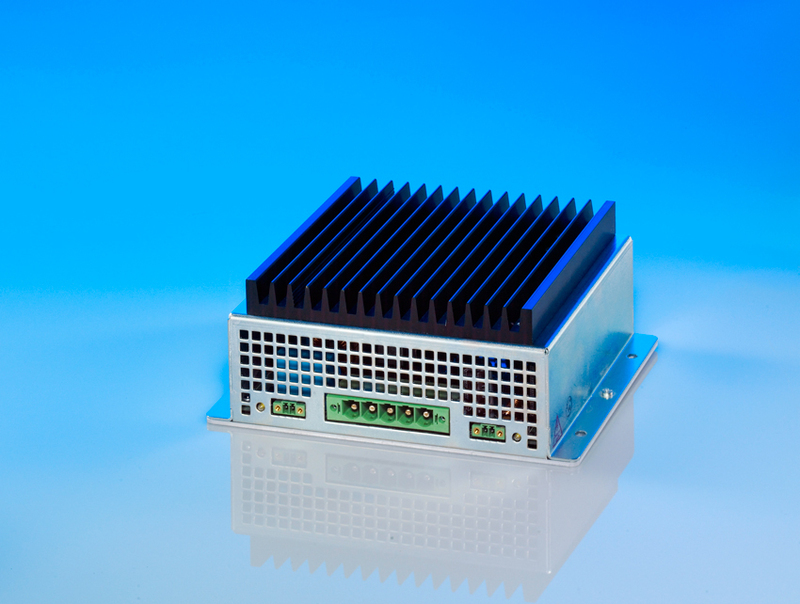 Converters are concipated for 19“ rack mounting or chassis mounting. Connector male H15 non bar or barring with screws. DC/DC converters for 24V, 48V, or 110V nominal input voltage battery systems with 50W output power. 3 or 4 independent outputs e.g. 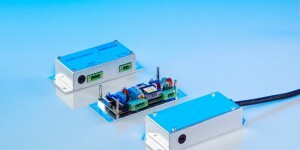 3 output converter: 24V, +/-15V or 5V, +/- 15V Galvanic isolation between input and output (2‘100VDC, 4mm creepage). No load and short circuit proofed for complete operating temperature range TA: – 40°C to + 70°C class T3 EN 50155. Input reversal protection. Well suited for supply of railway control systems. 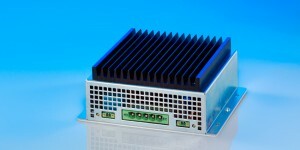 Converters are designed for 19“ rackmounting systems with back panel connectors. 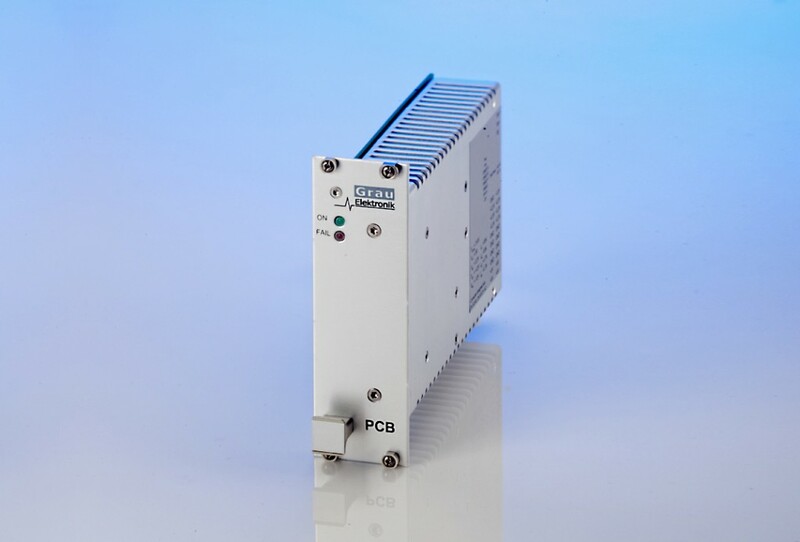 DC/DC Converter and AC/DC Converter for Compact PCI Applications. Suitable for stationary and mobile railway applications according to EN 50155. Controlled output voltages 3.3V, 5V and ± 12V. Output power 80W and 110W. Standard Pinning Positronic connector. 19“ rack mounting 3 HP, 6 HP. Main outputs with sense lines and voltage adjust pin, enable and inhibit function. AC input with PFC unit according to EN 61000-3-2. 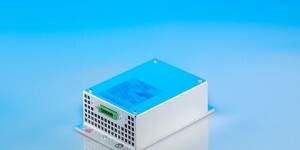 DC/DC converters 750W to 1000W with single output voltage either VOut = 24V or 48V. Galvanic isolation between input and output (2‘100VDC, 4mm creepage). No load and short circuit proofed for complete operating temperature range TA: – 40°C to + 70°C class T3 EN 50155. Converters can be paralled for boost of output power (2 units may be connected in parallel mode). 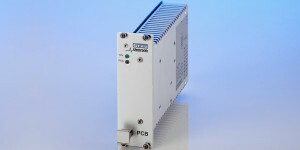 DC/DC power converters are designed for chassis.